We have one breeding pair, and we like it that way. They are excellent parents, very calm and nurturing, and very reliable. We have had babies every single breeding season. We follow the practice of co-parenting. There is no one better than a hen to incubate eggs and keep the young ones warm. Also, both the male and the female feed the young, passing all the enzymes that provide natural protections to the babies, not to mention not having to feed them around the clock. 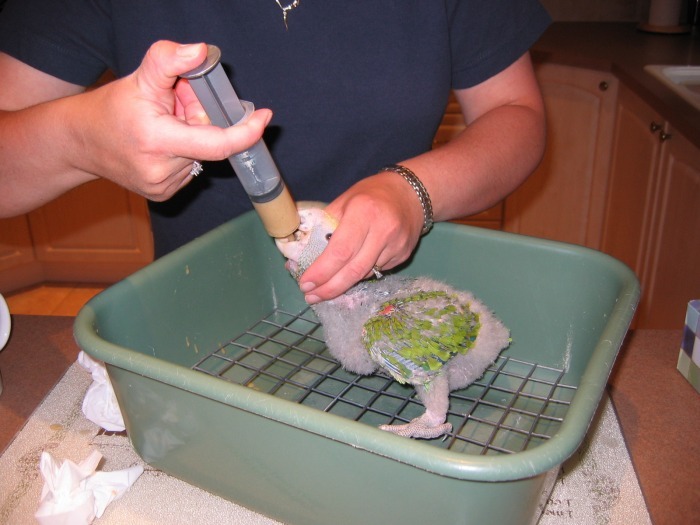 We leave the babies with the parents for ~ 3 weeks, during that time we service the nest box daily and band the babies at 15 days. These are exceptional parents for the simple fact that they let us handle the babies and clean the nest box during this time! At three weeks, we pull the babies and keep them warm and in a secure dark place. We hand feed them multiple times a day from April until August. 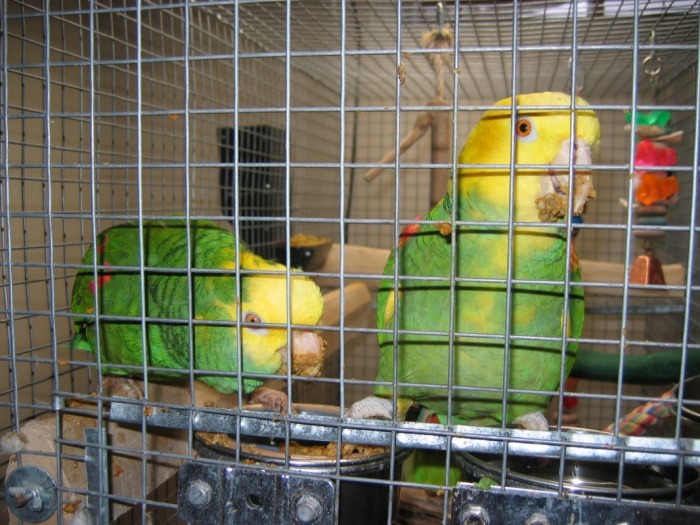 They are weaned onto Hagen Tropican Pellets and exposed to all kinds of foods; cheerios, pasta, veggies, fruits, etc. They are socialized with frequent handling by us and our children and introduced to all kinds of toys. We set up a flight room for the babies and they learn to fly, we keep them flighted until they are delivered to their new homes when they receive a clipping to facilitate training. 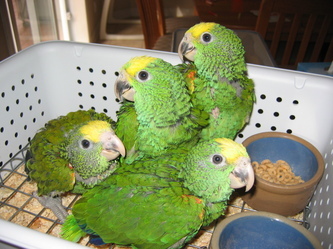 We put a tremendous amount of energy and love into our babies producing confident, playful, well adjusted parrots. 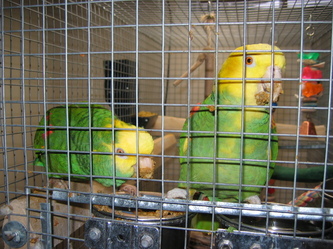 They are a part of our family, that is why we are very selective when placing them into a new home.